* Old QA1 part # DMU7855P. Designed just for race classes where stock suspensions are required, the Stocker Star AL shocks feature a 12-way externally adjustable valving system to make fine-tuning your suspension a breeze. 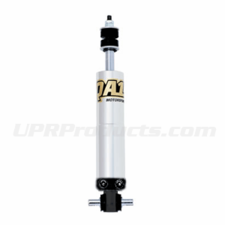 The shocks utilize a 5/8 in. hard chrome piston and the best sealing system available on the market. They're made from durable aluminum with a clear anodized finish for long-lasting good looks.